This photo (ebay 251084055383) originally ran in the Daily News in 1972. 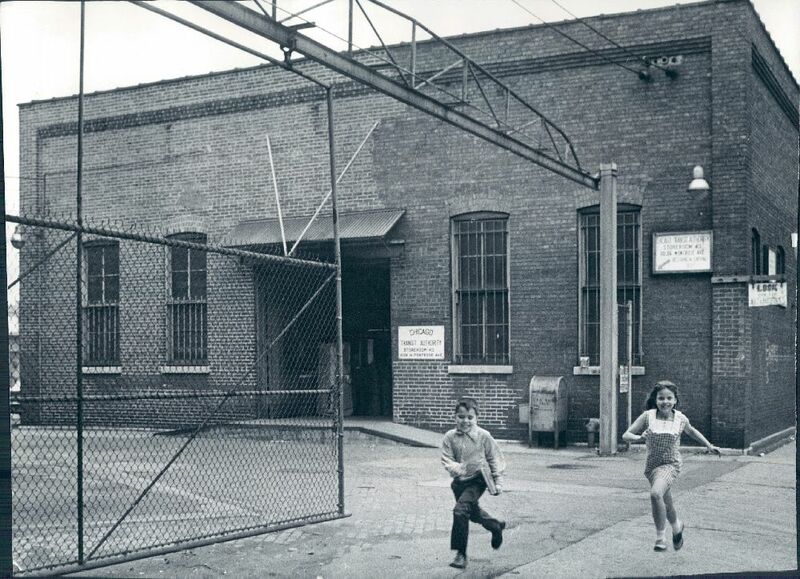 The caption reads: Two youngsters skip happily past the Montrose Ave entrance of the CTA's Wilson Av. yard, one of the potential danger areas uncovered during a Daily News and Better Government Assn. investigation of CTA practices and property. The gates should be kept closed, but several times when Daily News photographer Perry C. Riddle visited the site they were wide open. And no security guards were on the scene. A sign on the gate reads: "Danger Electric Current keep out." What would happen if someday a youngster did not skip past but entered the area?